I must confess, I’ve been feeling a bit lethargic when it comes to creating and quilting. I have had very little desire to blog or quilt for a couple of weeks now. I know I will emerge from that creative “funk” feeling refreshed and inspired…. just don’t know when. It seems to be my normal cycle and I’ve learned to accept it as part of the creative process. I have been feeling a strong pull toward some extra family time and tending to the needs of our busy schedule with the end of the year school stuff, birthday parties, ballet recitals, etc. Not to mention spring in the air and the need to just be outside!! Sooooo, because of my lack of creative drive at the moment, I’m unable to share a new quilt, but will very happily share a recent finish that I am really fond of. My Box of Rain Quilt is one I finished quite recently. I was able to share my creative journey with many of you and honestly I think that made this quilt that much more special to me….. I know *aawwww*!! Really though….. it was so fun to post about my excitement and my disappointments here and get such great support and encouragement from you all. I know I’ve said this before but thanks again!! I enjoyed the process so much, cranky sewing machine incident and all. It was such a liberating and joyful one, as all improv piecing usually is for me. Working with the Oakshott cottons and Essex Linen was so luxurious and fun! I started with a giant row of strip pieced colors with no solid plan in mind. When I began cutting into them and playing around with placement on my design wall, I realized where this was going. As always, filling in the negative space throughout the quilt was the most challenging and least fun part of the process. Sometimes I think I may need to turn it around on the wall so we can enjoy the back of this quilt too. I really love how it turned out. The color of that Kaffe Fasset orange shot cotton (sorry I forget the color name) is just so yummy! For the quilting lines on this one, I almost went with concentric circles, but decided at the last minute to go with these organic, flowy, vertical lines. I’m so glad I did. As much as I love quilting those circles, for this quilt and this design, it just didn’t feel right! 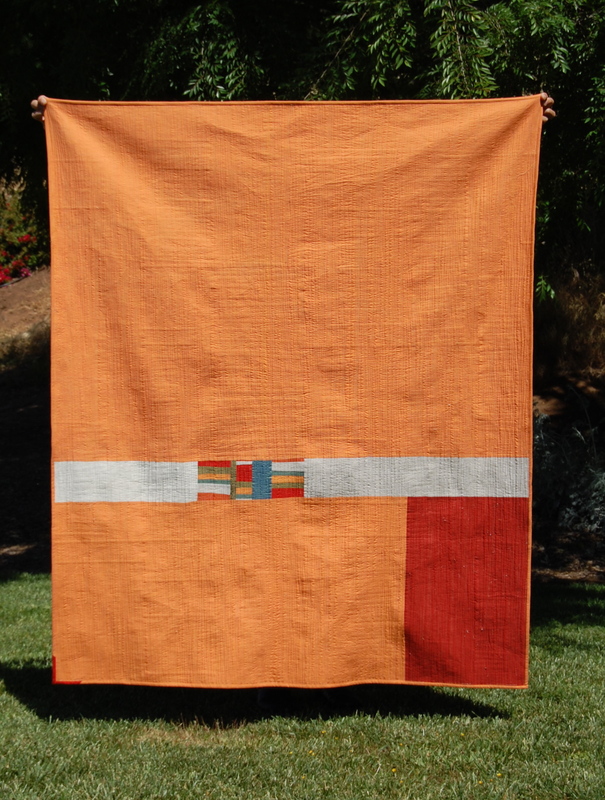 I am so happy to enter this quilt into Spring 2013 Blogger’s Quilt Festival. It’s really incredible what Amy has put together over the years. The collection of really beautiful, both modern and more traditional quilts over there is impressive! A big thanks to Amy Ellis (as well as all the generous sponsors) for hosting this for five fun years now! Wow! If you haven’t just come from there, I invite you to grab a favorite beverage and enjoy perusing some inspiring quilts! I also invite you to check out my original “finish” post on this Box of Rain Quilt. 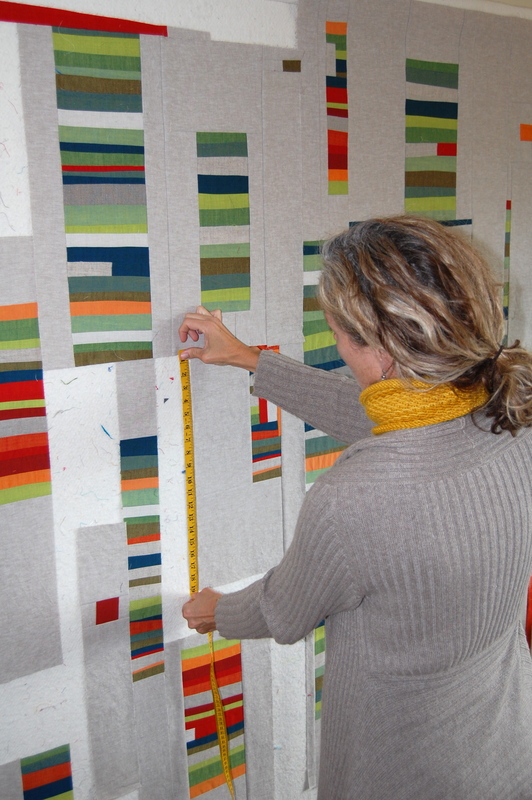 You will find links to all the post related to the quilt along the way. Hope your day is lovely! I’m so glad you chose this one. One of my favorites! 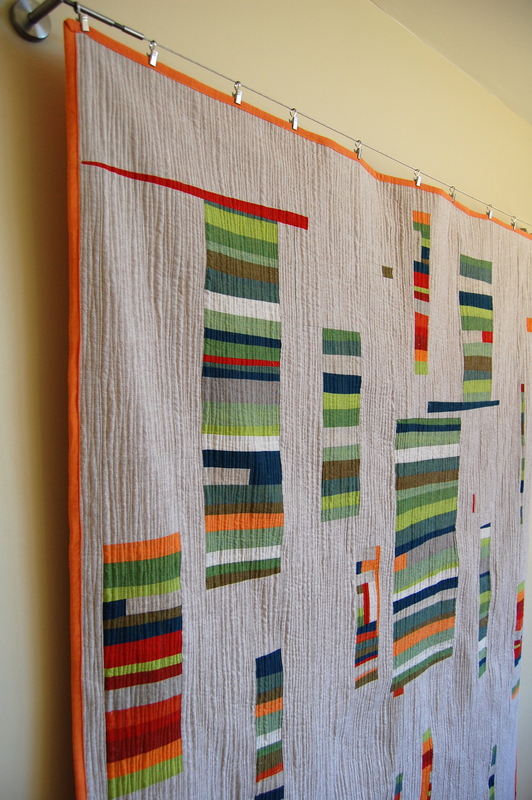 I love how this quilt turned out…..a wonderful entry!! karen, this is such an amazing quilt. I just love everything about it and especially enjoy you sharing your ups and downs while making it. It’s absolutely gorgeous, definitely a favorite of mine. Well, you know how much I love this one…. So inspired! This is just beautiful! 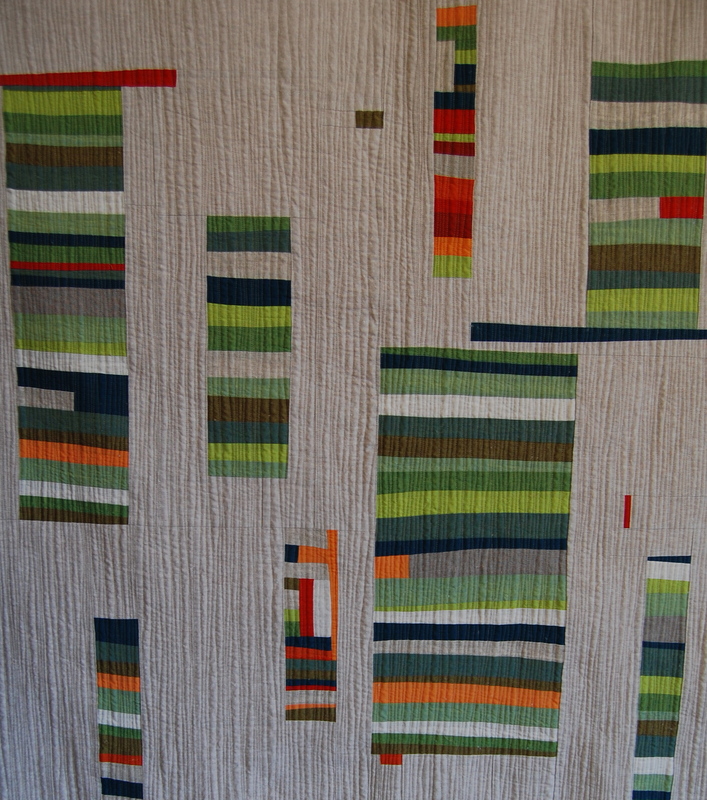 I love the modern look – especially the flowing quilting lines! Just gorgeous! Your quilting really adds to it. I understand just wanting to stare and admire it! am I loony? I cannot seem to find this in the Festival!!! Which category is it in? 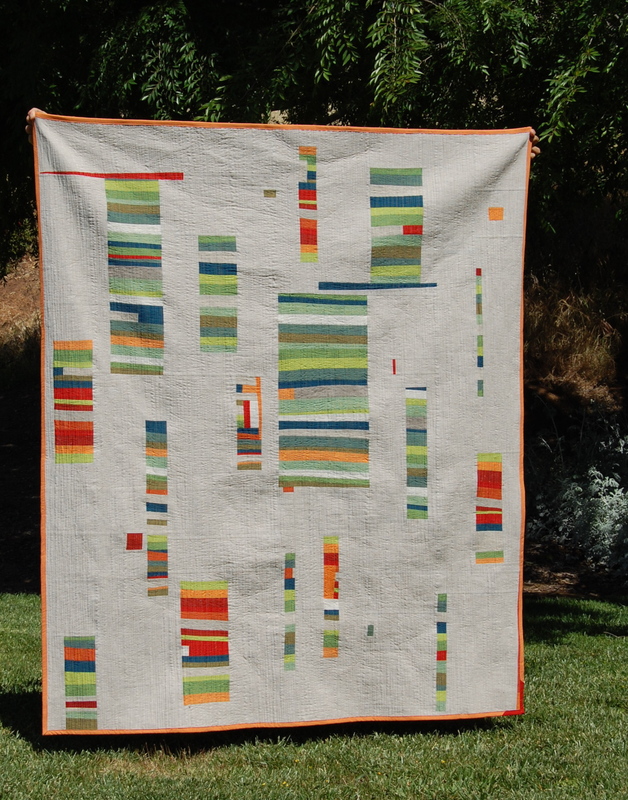 There is definitely something about this quilt…it is so lovely! 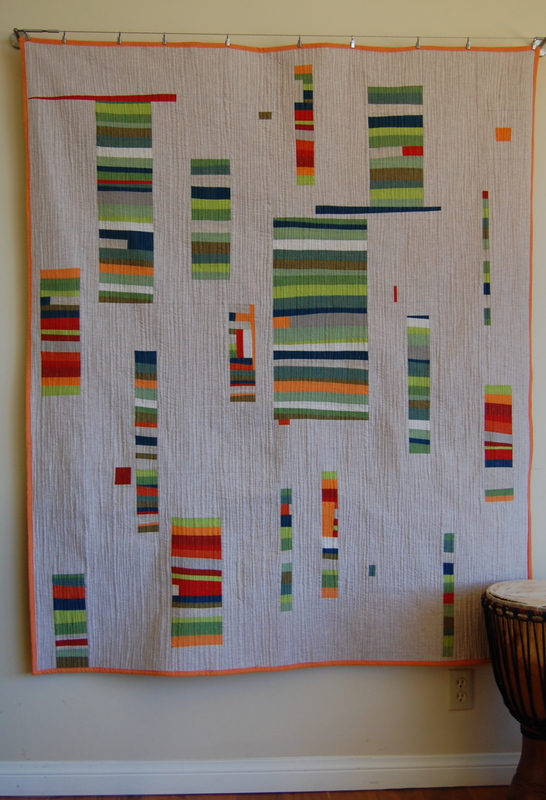 I think you might know how much this quilt makes me weak in the knees. Way to go! The texture of your quilt is absolutely beautiful – it’s lovely. It’s gorgeous and the texture of the quilting is terrific! Love the quilting on it, it makes it stand out and the pattern is also amazing. Congrats! Beautiful quilt! I love the improve piecing and color scheme. And the quilting is excellent! I totally understand something just not feeling right.